Why book Wellington Airport car rental at VIP Cars? Rent a car at Wellington Airport with pricing inclusive of CDW, Theft Waiver, Unlimited Mileage etc. 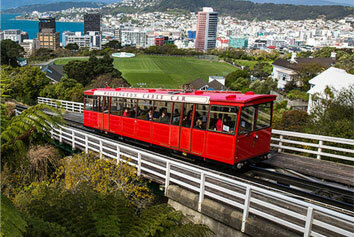 Planning to visit Wellington, New Zealand? Book a car rental for Wellington Airport (WLG) with VIP Cars and discover this beautiful city as never before! 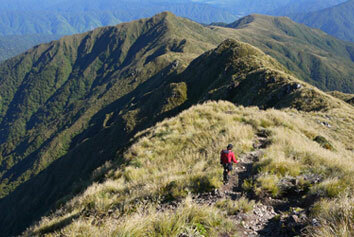 As per experienced travelers, a rent-a-car is the best way to explore the spell bounding Wellington! And why not! With a car rental at your beck and call, you can spend your holiday time in Wellington to the fullest, in complete freedom, and as per your own schedule! No matter what your space requirements, car preferences or budget needs be, VIP Cars’ partners offer a great fleet which allows us to cater to the needs of a variety of passengers. Therefore, by booking your preferred Wellington Airport car rental deal with VIP Cars, you can save a lot of money with literally no compromises on quality! So don’t wait much, book a car rental for WLG Airport, for without it your trip will not be a trip at all in the truest sense. Economy, sedans, minis, compacts & standard cars are the car-types offered for the cheapest prices. They are not meant for adventurous trips. A van or a minivan is best suited for a big group of family and friends. On VIP Cars, you can compare 7, 8, 9, 12 and 15 passengers vans and minivans from top suppliers. Lamborghini, Bentley, Rolls Royce, BMW, and Corvette are some of the car brands that you can compare on VIPCars. Place the booking at least 3 months in advance for cheaper deals. A convertible SUV is a great option if you are planning to explore the coastal drives. However, if you want some off-roading better go with 4x4s which are more sturdy and have more room for equipments. Located in Wellington’s Rongotai suburb, Wellington Airport is an International airport which is co-owned by Infratil and Wellington City Council. It is the third busiest airport in NZ after Christchurch and Auckland Airport, and is served by carriers like Air New Zealand, Fiji Airways, Qantas and Jetstar airways. Before the present terminal came into being, Wellington Airport domestic terminal was initially based in a striated iron hangar and it may sound surprising but this is how it remained for years. Despite that, the domestic terminal always faced issues like overcrowding, but all this changed for the better when the new domestic terminal was added in 1999. Whether visiting on vacation or during a layover, here are a few points of interest, eating joints and things-to-do in Wellington that you can easily cover in your WLG Airport car rental. For your convenience, we have split them into categories! The best way to enjoy panoramic views of Wellington is via the scenic cable car which is also the most noted tourist attractions in Wellington. Other places that offer exceptional scenic views in Wellington are Mount Victoria Lookout, Mount Kaukau, Wellington Botanical Garden, and Zealandia. 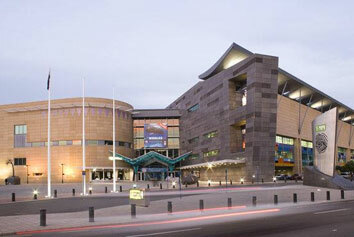 Wellington has some of the finest museums in the country; its stunning Papa Museum is counted among the largest Museums of the world. It is the perfect place to know the true essence of NZ’s culture (Maori and colonial) and history, through great interactive exhibitions. 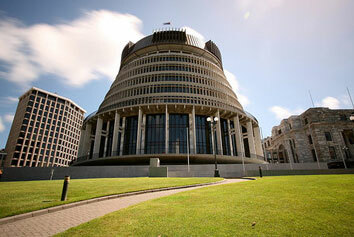 The most outstanding architectural highlights in Wellington include names like the parliamentary building named Beehive, its huge National Library and the old Government building- which is one of the World’s largest wooden buildings. Old Bank Arcade, Old Saint Paul’s and Antrim House are other noted gems. 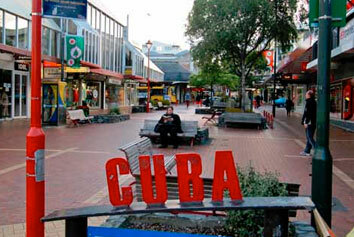 Shoppers can shop to their heart’s content at Wellington’s vivacious Cuba Street, where you can find everything from the souvenirs to designer clothing. Other noted places are the Golden Mile, the Weta Cave and various local markets in Wellington like Wellington Night Market and Hill St Farmers’ Market etc. 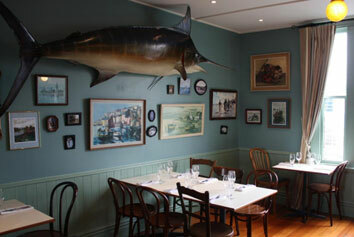 If you would like to have a leisurely walk through Wellington, there are numerous options to choose from. The Mount Victorian loop, Polhill reserve loop, Great Harbour Way, Matairangi Nature Trail, City to Sea walkway, Te Ahumairangi Hill loops and Heritage trails are some of the best walks in the city. Why you should visit it? First of all the ferry trip is just out-of-the-world and the destinations Picton – a small town with its lovely waterfront – and Marlborough – full of wineries – will prove to be the icings on the cake! Why go? It is the best place if you want to see some of the unique but endangered bird species and a breathtaking forested island environment. If you have 2 to 4 days in NZ, the following are not only the best road trips out there, but are totally doable! You can easily accomplish one of these in your Wellington Airport car rental! Why go? While Hawke’s Bay is said to be NZ's premier wine region - a great place for food and all, Napier offers an intriguing Art Deco architecture, and much, much more! Cities to Cover on the Way: The trip allows you to visit various other gorgeous places in NZ, namely Picton, Marlborough Sounds, Hanmer Springs and finally Christchurch! What is included in my Wellington Airport car rental’s deal? Can I travel one way and leave my WLG Airport car rental in Picton? Yes, our partner suppliers – like Ace rent a car – allow the renters to travel one-way to Picton where you can drop the car at the address provided by the supplier. Also note that since you need to travel by ferry to reach Picton, in most of the cases, your Wellington Airport car rental will be permitted to be taken on a ferry, and the ferry charges will be covered in the car rental’s quoted price. Can I book an automatic car for WLG Airport? Yes, almost all of our partner suppliers in NZ offer automatic as well as manual car rentals for Wellington Airport. What happens if I return my car late? If you know that you are going to be late in returning your Wellington Airport car rental, notify the supplier and get the car rental extended for the same rate at which you booked it. But if you fail to notify the supplier, you will be liable to pay the late fee (which also depends upon the car rental supplier).